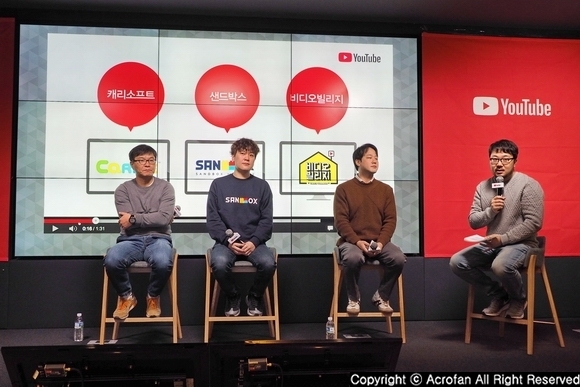 On the morning of December 6th, 2017, the eighth 'Conversation with YouTube Creators' was held at Google Campus Seoul in Gangnam-gu, Seoul. ‘Conversation with YouTube Creators' is a panel talk event that meets YouTube creators in various fields through the YouTube service and shares detailed secrets of success and unknown stories. In the eighth event, a time to listen to stories of startup people who are expanding their business through YouTube was prepared on the theme of ‘YouTube startup’. At the event, Park Chang-shin, COO of CarrieSoft, Lee Pil-sung, CEO of Sandbox Network, and Jo Yun-ha, CEO of Video Village attended the panel to share their experiences. ▲ The eighth 'Conversation with YouTube Creators' was held. According to the introduction, CarrieSoft is a kids content company that produces and provides kids' content under the goal of 'Make Kids Happy'. It provides a variety of kids' contents such as the toy introduction channel 'Carrie and Toy Friends', the children's travel channel ‘Ellie and Tour', the children's reading contents channel ‘Carrie and Books', and the play introduction channel 'Carrie and Play'. Starting from the YouTube channel, the company is now expanding into various fields such as character licensing business, performance business such as musicals, TV broadcasting channel business, and kids’ café business. 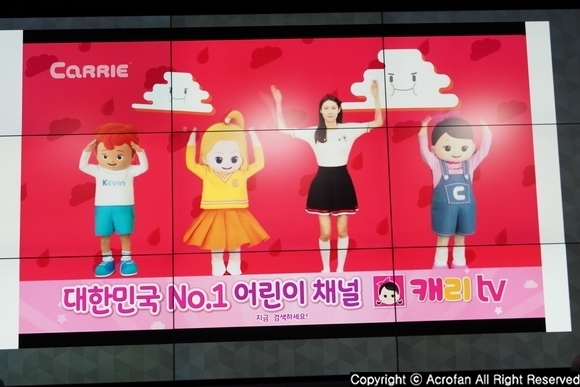 In addition, representing 5-year-old three musketeers in town, the characters of ‘Carrie and Friends’, who are ‘Carrie’, ‘Kevin’, and ‘Ellie’, received the Presidential Award for 2017 Korea Content Awards. As of November 2017, CarrieSoft has more than 2.4 million subscribers on its entire YouTube channel, and it is currently running multiple languages, including English, Chinese, and Vietnamese. Sandbox Network is a digital entertainment company that connects creators and creates digital contents. 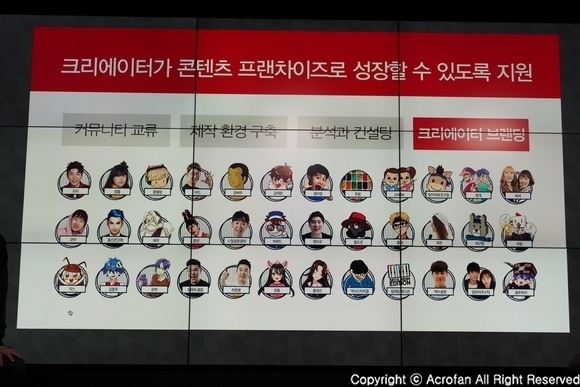 There are now more than 120 creators in various fields such as games, kids, gags and food, including DDotty, Poong Worlyang, MariAndFriends, Jang Bbi Chu, and Ddeonggae. In addition to the MCN business, it also launched a merchandising brand 'Sandbox Friends', a game application 'Sandbox Run', and a ringtone application 'Sandbox Color' using creator characters. The total number of YouTube channel views in Sandbox Network is more than 11 billion views as of November 2017. 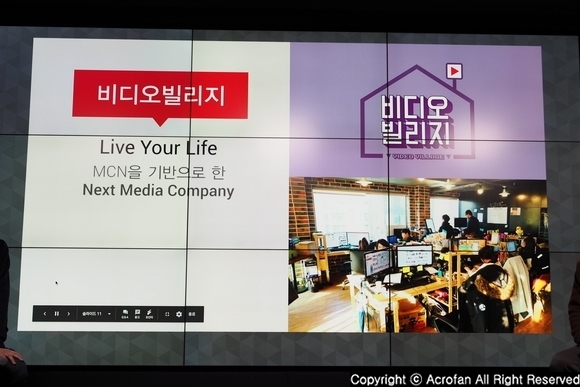 Video Village is a MCN startup that includes famous creators such as Josub, Korean Bros, and Manganyeo. In addition to the MCN project, the company also runs five original content channels, including ‘Boys Village’ and ‘Girls Village’, which are targeted at 10’s boys and girls, respectively. As of March 2017, including Facebook and YouTube, Video Village Channel has more than 18 million subscribers, with more than 130 million views per month for the entire channel video platforms. ▲ CarrieSoft is a kids content company that produces and provides kids' content. ▲ Sandbox Network is a digital entertainment company that connects creators and creates content. ▲ Video Village is not only doing MCN business but also making contents. These companies have similarities in delivering creator-centric content, but have used different strategies for growth strategies. CarrieSoft has focused on characters and has created content, and Sandbox Network has focused on the potential of creators and has chosen to help creators grow into content brands. On the other hand, Video Village started business without a representative creator, so it set up a content production system as well as fostering creators to create synergy. For the most difficult parts, they talked about the time when recruiting creators and growing. Also, at the time they started to grow as much as they originally planned, there were some troubles about production in the process of development after setting the next goal. On the other hand, as for the standard of creator recruitment, they emphasized that the creators must have a philosophy about what they want to talk while having a mission to create and show contents, since both contents and community are important. There are certainly people who start YouTube to become famous or chase money, but we are avoiding them because they are short-lived and do not have the value of content. We are looking for people with willingness and circumstances to work together on a sustainable and steadfast basis.